Thank you. We saw it on the weekend and it looked good! 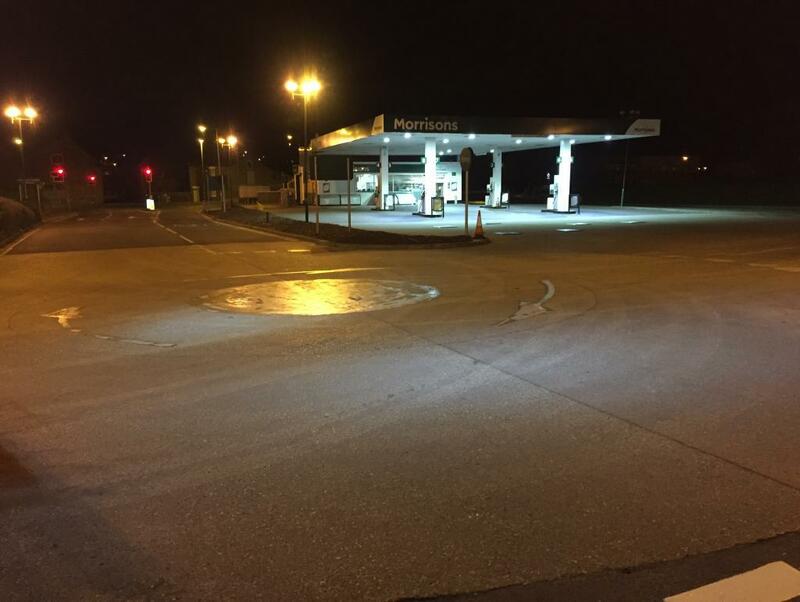 We dispatched a crew from our Newton Abbot Depot to complete a small amount of line marking on site at a chain for a national supermarket. We had to do the work out of hours to ensure we caused the least amount of disruption possible whilst working. 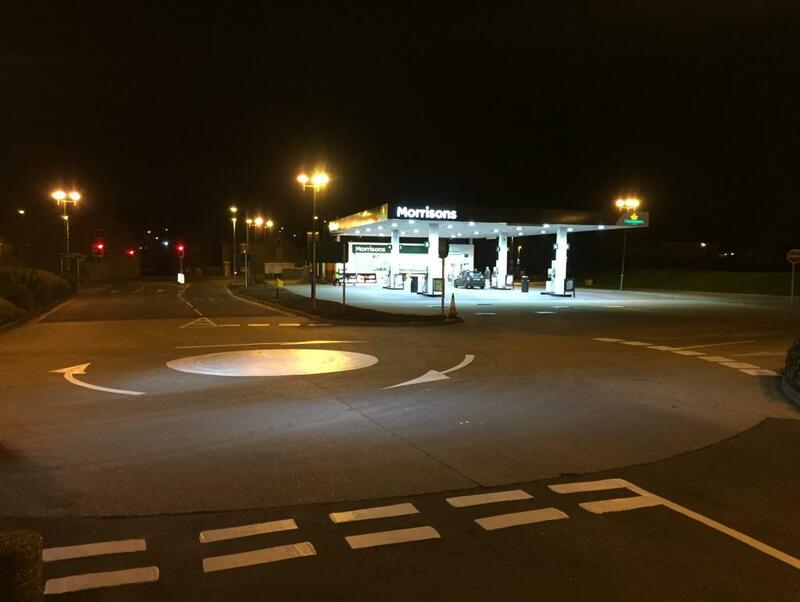 Using white thermoplastic we refreshed the mini-roundabout and surrounding directional arrows - it was not our intention to make it look a little like the moon but it was nonetheless a pleasing result! Work carried out November 2017 in Bridport.